Well, some things about yesterday’s Kansas primary election have been decided but others have not and likely will not be for some time yet. What we know for certain is that Senator Laura Kelly is the Democratic candidate for Kansas Governor. Kelly secured a majority of votes (52%) in a crowded five-candidate contest. It didn’t take long last night to know that Kelly was in; Svaty and Brewer were out. Over on the Republican side, however, things are a little different. 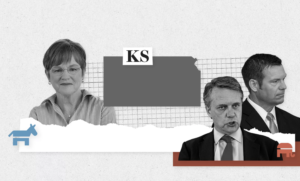 As of noon today, Secretary of State Kris Kobach – Trump’s anointed candidate – was ahead of incumbent Governor Jeff Colyer by only 191 votes with several thousand provisional ballots still to be counted. This race will take some time to be determined as all counties finish reviewing their ballots. But Kelly will face off against either Kobach or Colyer in November. In two other contested state-wide Republican primaries, Rep. Scott Schwab secured the nomination for Secretary of State with 38% of the vote in a five-candidate election while Sen. Vicki Schmidt managed to beat Clark Shultz in the Republican primary for Insurance Commissioner, 52% to 48%. A couple of congressional primaries were wild. In the Democratic primary for CD 3 (currently held by Republican Rep. Kevin Yoder), Sharice Davids managed a win with 37% of the vote. She was followed by labor leader Brent Welder with 34%. Teacher Tom Niermann was a distant third with 14% of the vote. Davids will take on Yoder in the general election. While Yoder did win the Republican primary, a full 32% of Republican voters cast their votes for other candidates. There was a crowded field in the Republican primary for CD 2 (being vacated by the retiring Republican Rep. Lynn Jenkins). With seven candidates in the race, Steve Watkins eked out a win with 26% of the vote. Watkins – an unknown a few months ago – managed to top state Senators Caryn Tyson, Dennis Pyle, and Steve Fitzgerald as well as state Representative Kevin Jones and former Speaker of the House in the Kansas Legislature, Doug Mays. Watkins has been in the news for having met with the Democratic Party to consider a run for Congress as a Democrat before settling on being a conservative Republican. He has also been criticized for being a non-voter – he maintains that as a member of the armed services he needed to stay non-partisan and that included not voting! State Senator and retired Lt. Colonel Steve Fitzgerald had harsh words for Watkins on that issue! Watkins will face former House Minority Leader Paul Davis who was unopposed in the Democratic primary. Republican Congressman Roger Marshall secured 79% of the vote in his primary election while Republican Congressman Ron Estes topped his challenger, Ron Estes, 81% to 19%. Estes will now go into a rematch with Democrat James Thompson who won his primary with 65% of the vote. Down ballot races were disappointing for moderate Republicans who woke up to find that they had lost Mary Martha Good (El Dorado), Anita Judd-Jenkins (Arkansas City), Patty Markley (Overland Park), Joy Koesten (Leawood), Don Schroeder (Hesston), and perhaps Steven Becker (Buhler) although Becker is behind by only one vote. Some moderates with primaries did prevail, however. Among them are Susan Concannon (Concordia), Tom Cox (Shawnee), Jim Karleskint (Tonganoxie), Jim Kelly (Independence), and Larry Hibbard (Toronto). Moderates also held two other seats. Susie Swanson’s (Clay Center) seat with go to Susie Carlson who defeated conservative Kathy Martin and Stephen Alford’s (Ulysses) seat will go to Marty Long who defeated conservative Jeff Locke. And in great moderate Republican news, outspoken conservative incumbent John Whitmer was defeated in his primary by moderate Republican J.C. Moore. The balance of power in the House is still to be determined pending the results of the November general election, but the moderate Republican caucus did suffer some serious losses in the primaries. What remains to be seen is how well Democrats do in both defending their incumbents and picking off some of the conservatives that came out ahead against moderate Republicans. The challenges ahead of advocates for public education from now to November are many. We call upon all Kansans who value public schools for all of our children to get involved in the general election campaigns to protect and expand the Moderate/Democrat coalition. We’ve made many gains since 2016, but last night proved that there is a growing push to return to and even double-down on the Brownback disaster. 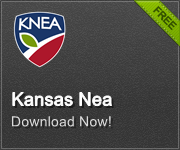 For the sake of Kansas kids and for the future of our state, we must not let that happen!